Brownie McGhee was born Walter McGhee in Knoxville, TN, November 30, 1915. He grew up on a small, family run farm near Kingsport , TN, learning a love for music at the hands of his father, a local singer-guitarist who used to play at dances and parties, often bringing his young son with him. Brownie was stricken with polio at the age of four, from which he fully recovered, with the exception of a noticeable limp that affected him all his life. He wore a shoe with a two-inch sole to provide his legs with equality of length. It was this misfortune that prevented him from having to help around the farm and enabled him to dedicate more time to pursuing his passion, music. As a child he would listen to his father and uncle play, learning from them the rudimentary skills of stringed instruments. He fine tuned his skills on his father's guitar and was playing his own hand-made banjo by age eight. He also experimented with the piano and church organ. After his freshman summer of high school, Brownie decided to drop out of school and see what kind of life he could make for himself on the road as a traveling guitarist. He followed Hagg's carnival, medicine shows, and the Rabbit's Foot minstrel show. He was forced to return to the farm to help out his family as best he could in the early 1930s. But he was never far from the music scene. He played locally, forming a number of bands and honing his skills as a bluesman. But by the end of the decade, he was ready to return to life on the road, owing explanations to no one, playing on street corners and hustling for a living. It was this decision that changed his path forever. He began this journey in Asheville, NC, traveling through Winston-Salem, Burlington and Durham, picking up credits and experience, meeting and playing with others on the scene. It was in Durham that he hooked up with Blind Boy Fuller and Sonny Terry, ultimately leading to discovery by L.B.Long of Okeh records. L.B. was so impressed that he sent them to Chicago to record. McGhee's first single was "Me & My Dog" which appeared on the B side of Blind Boy Fuller's "Bus Rider Blues". McGhee and Fuller were scheduled to work together again in 1940, but a sudden kidney infection killed Fuller, leaving Brownie without a partner. (Some accounts of Fuller's death record that he died from a fatal poisoning, not a natural infection.) In memoriam, he recorded "The Death of Blind Boy Fuller" on Fuller's own steel bodied guitar. This song was released with the artist's name listed as Blind Boy Fuller No.2. That was to become only one of McGhee's pseudonyms, including: Spider Sam, Big Tom Collins, Henry Johnson, Tennessee Gable and Blind Boy Williams. It was around this time that Brownie decided that he needed to make his own name in the business. After Fuller's death, Brownie hooked up with Sonny Terry to record, creating what would become one of the most powerful and most successful duos in blues history. They debuted together for the first time in 1941 at the Riverside Stadium in D.C., and recorded "Workingman's Blues" in 1942. The two moved to New York in the mid-40s, staying with their friend Leadbelly in his Harlem apartment. They quickly became one of the most popular acts on the circuit, playing with dozens of other popular musicians like Woody Guthrie, Pete Seeger, Leadbelly, and the Weavers. This trend continued through the 50s, 60, and into the 70s when the two finally split. Despite being a member of this powerhouse duo, Brownie never stopped recording solo albums, or expanding his musical horizons. He played in several Broadway shows, including "Cat on a Hot Tin Roof", and "Simply Heaven". 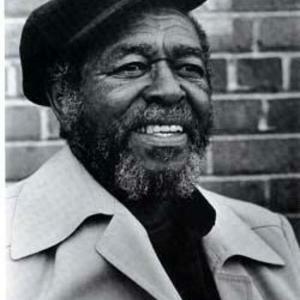 Brownie McGhee died of cancer in Oakland, CA, February 12, 1996.